As we now approach the halfway stage of the Commonwealth Games in the Gold Coast, the action continues to come thick and fast. Currently the hosts Australia lead the way on the leader board with 90 medals to their name with England also doing well in second place having won 57 medals. Scotland are in fifth with 25 medals, Wales find themselves seventh with 14 and Northern Ireland are 14th with just two medals so far, one of these was a gold in the gymnastics with Rhys McClenaghan triumphing in the men’s pommel horse. 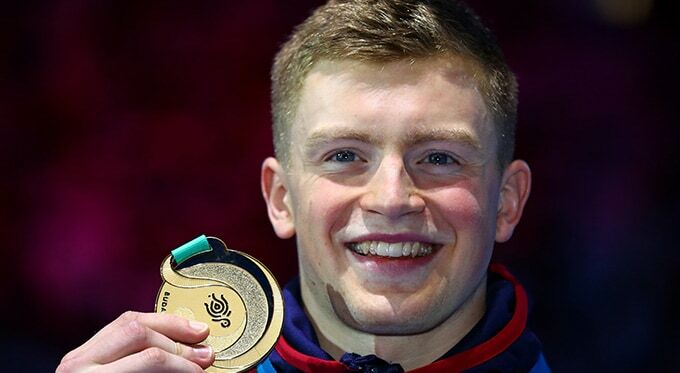 England swimming sensation made it four years unbeaten winning gold in the 100m breaststroke in the swimming event. This victory for one of the world’s greatest swimmers follows the golds he won in the 2014 Commonwealth Games , 2015 World Championships, 2016 Olympics and 2017 European Championships. Adam Peaty wasn’t the only successful English athlete in the swimming, James Wilby orchestrated a shock win in the men’s 200m breaststroke and Thomas Hamer took home gold in the men’s 200m freestyle S14. The women’s team also won a whole host of medals with Ellie Robinson, Aimee Willmott, Sarah Vasey, Alice Tai and Siobhan Marie O’Connor all winning golds in various events. British gymnastics has seen something of a resurgence in recent years with team GB winning two golds at the Rio Olympics in 2016, a feat they had never managed before. Now, England, Wales, Scotland and Northern Ireland have won a combined 21 medals at this year’s Commonwealth Games , with England winning 16 of these, more than any other country. England’s men’s artistic team began the haul in the all-around event on 5 April with Dominick Cunningham, James Hall, Courtney Tulloch, Max Whitlock MBE and Nile Wilson winning golds. Wilson was also successful in the individual all-around event, whilst in the women’s events Georgia-Mae Fenton won in the women’s uneven bars. An incredible routine from welsh gymnast Latalia Bevan saw a silver go her way, marking the country’s first gymnastics medal at the games, before England’s Alice Kinsella took a gold on the beams for England. Now Usain Bolt has retired from athletics there is a place for a new hero to take his place but sadly at this year’s Commonwealth Games that man will not be Adam Gemili. Prior to the 100m final, Gemili who had qualified third fastest and was amongst one of the favourites to win the event, had to withdraw when he suffered a thigh injury. Jamaican star Yohan Blake is now the front runner for the race, but there could yet be a ray of hope for Gemili who is scheduled to take part in the 4X100m relay event this Friday. If he recovers in time for this race he could yet be a Commonwealth champion this year. Amongst all the sporting action that is going on over in the Gold Coast, this weekend also saw two of the Games sporting stars get publicly engaged. Following England’s 81-54 win over Cameroon in Pool B, player Jamell Anderson popped the question to girlfriend and women’s player, Georgia Jones. With all his teammates huddled around him for what Jones thought was going to be a team photo, Anderson then got down on one knee and fortunately she said yes! Jones’ brother was one of his teammates who helped plan the proposal and earlier in the day she contributed nine points as England won 78-51 against Mozambique in the women’s event. Anderson will now be hoping he can see more success on the court as England have progressed to the qualifying finals and are waiting to see whether they will face Australia, New Zealand, Canada or Nigeria in the next round. Here at the Champions Olympic Speakers agency, we have a whole host of fantastic Olympic speakers who are perfect for all manner of events. If you would like to book an Olympic speaker, get in touch with us by filling in our online contact form or by calling a booking agent directly on 0207 1010 553.